● If you enjoy my blog, why not vote for me as part of the Best Australian Blogs competition. Also on the list are the awesome The Notebook Sisters, Happy Indulgence and more. Simply Click Here and vote for your favourite Aussie blog (I'm listed under Diva Booknerd). If you're an Aussie blogger, let us know if you've entered in the comments below. ● This week a group of Aussie YA reviewers got together and created a group on Goodreads. Australian YA Bloggers offers a chance to network with other bloggers and publishers such as Penguin Teen Australia, Harper Collins, Harlequin Teen Australia, Allen and Unwin and more. Click to join, all you need is a blog and review YA books, and of course be an Aussie. ● Indie author Christina Channelle is holding a cover reveal for the third book in her Blood Crave series. There's an awesome giveaway and a coupon code for a free Blood Crave novella giveaway. Just Click Here to take part. I was completely spoilt this week and there may have been cover stroking involved when these titles arrived. With thanks as usual to the publishers, who never tire of supporting Aussie bloggers and our fangirling over pretty covers. Fire & Flood by Victoria Scott. With thanks to Scholastic Australia. When this arrived along with Nine: The Last Thirteen by James Phelan (not pictured, wasn't able to find a stock photo), I was absolutely thrilled. I'm a huge fan of her Dante Walker series and can't wait to get stuck into this one. Nine will need to wait a while, I haven't got a copy of the last book in the series and will need to track one down. 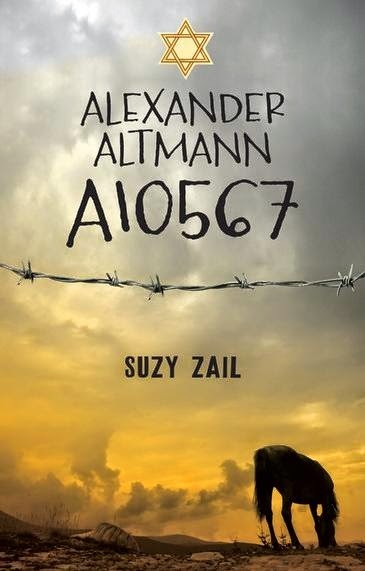 Alexander Altmann A10567 by Melbourne author Suzy Zail. This looks incredible, when Walker Books popped this up on their website, I was itching to grab a copy. It's based on a true story. Have an extra copy to giveaway, so keep an eye out for more details. 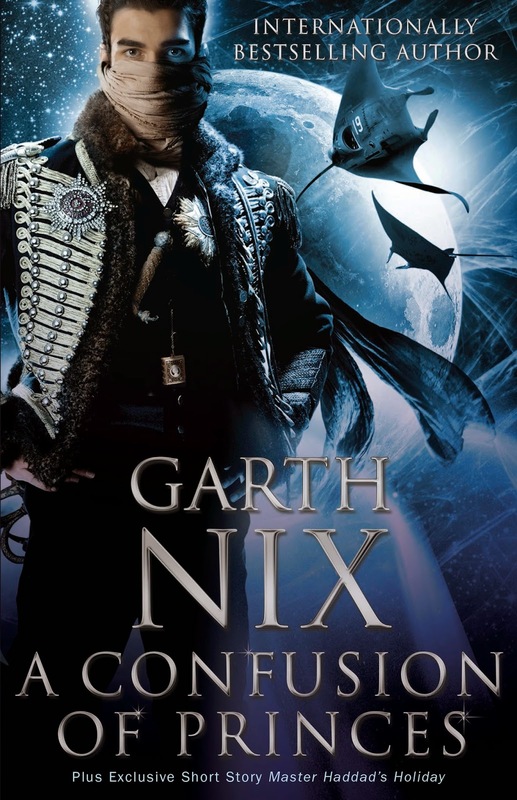 A Confusion of Princes by Garth Nix. Another awesome Melbourne author, a new cover on an old favourite of many, with thanks to the incredible Allen and Unwin. A science fiction, fantasy space opera, this one is going to skyrocket to the top of my pile. 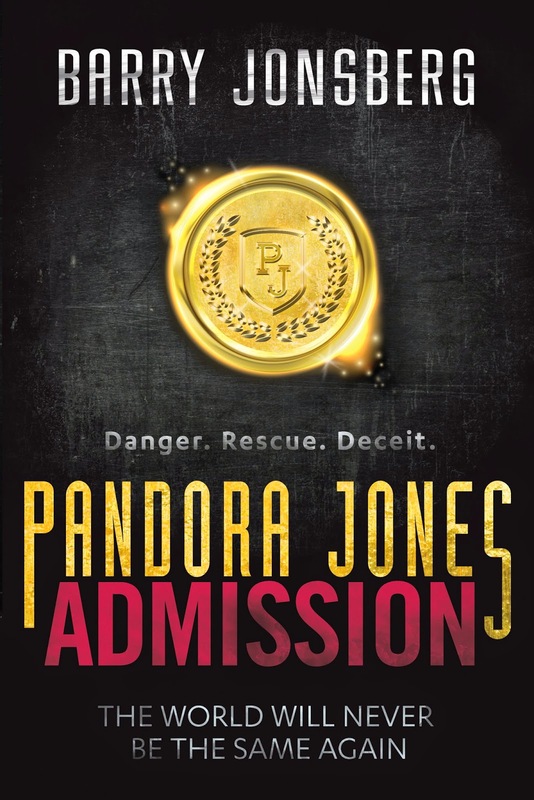 and Admission (Pandora Jones: Book One) by Barry Jonsberg. Good grief how I love the premise of this one. I would have offered Allen and Unwin an endless supply of cake. Pandora is set to be the next Katniss, captured and detained inside a prison where children are trained in survival, while her family succumbed to a deadly plague. Ohhh, this is what bookgasms are made of. Fire & Blood seems so intriguing. I think I need to read it at some point. :) Great haul! Happy reading and have a great weekend! Thanks Sofia, it looks awesome doesn't it. Happy reading and thanks for stopping by. It's about time we all had somewhere to network and talking about how great we all are. I seen a few other blogs were entering, so thought I would too. As long as I don't come dead last, I'll be happy. I voted for all the Aussie blogs I follow apart from mine. Alexander Altmann looks incredible. Another book that'll probably leave me an emotional mess. I hadn't heard of Admission, but you got me intrigued enough to look it up. I haven't read much in the dystopian genre--basically just the three Hunger Games books and the first of Divergent, but I've found myself hooked on those. I'll keep an eye out for this at Big W next month. Hey Brett and thanks for stopping by. I always gravitate towards dystopian or post apocalyptic, I love survival stores or trouble making revolutions. There is so many great titles out there. Blood Red Road by Moira Young, the Under the Never Sky series by Veronica Rossi is another one. They're incredibly addictive. If you ever need an recommendations, I could talk for hours. I really enjoyed A Confusion of Princes. I hope you do too! It sounds awesome. Garth Nix is an author from my home town, so looking forward to reading my first, of what no doubt will be many of his books. Thanks for stopping by. Also...did you just say SCIFI FANTASY SPACE OPERA?! ERMAHGERD THAT SOUNDS SO EPIC. Totally going to get my hands on a copy. Victoria Scott is a darling, she's so naturally funny so I have no doubt that I'll enjoy this one. You should definitely grab the second Dante Walker novel, it won't be long until the last in the series is out. Ohhhh, I knoooooow! Since These Broken Stars I've been trying to hunt down space operas, I didn't even know that was a legitimate genre. This one seems grittier and tougher but looks awesome! Thanks for stopping by Nara. I really enjoyed Fire & Flood and I'm looking forward to book 2! Enjoy! Ooh, great stuff Jon, definitely swinging by to check out your review. You have a very nice stack of books this week! Fire and Flood looks so good, and I hope you'll enjoy both that and all your other new stories. Good luck in the Aussie Blogger Award! Thanks for stopping by earlier, have a wonderful weekend. Thanks Lexxie, fingers crossed that I can find a few fans somewhere who I can bribe into voting. Happy reading and thanks for stopping by. Fire and Flood is on my tbr as I bought it a few weeks ago. It's a matter of finding the time to read it now with so many others to get to! Enjoy your books! So many books and so little time. It's not a bad situation to find yourself in though. Thanks for popping by Chuckles and happy reading! I so want to read Fire and Blood sounds so good. Enjoy your new books! Thanks Mary, I can't wait to get stick into it. Thanks for stopping by. I'm curious about Fire and Flood. That's great you were sent a copy; hope you enjoy it! Thanks Lauren and happy reading to you too. 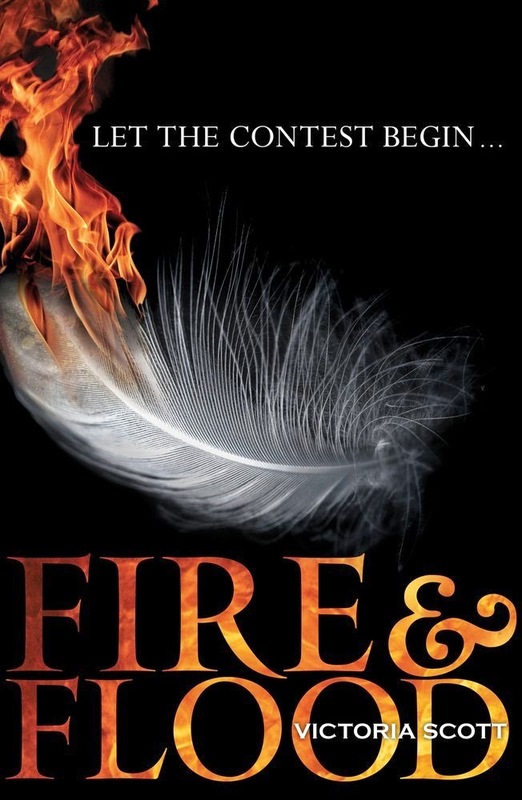 Another one who's loving Fire & Flood, have you been able to review it yet Grace? Looking forward to reading your thoughts. Thanks for stopping by. Happy reading and have a good weekend! You too Milka and thanks for stopping by. Loved Fire and Flood and hope that you do too! I have no doubt that I will Brandi, it looks awesome. Hope your feeling better and thanks for stopping by. Awesome, I'll be voting for you and Cait in the People's Choice, definitely! I've just read Fire & Flood and it was frustrating, you might like it though because I know you and your dystopians. I haven't heard of the rest but they sound good! Aww, thanks Jeann. I went through the list and voted for all the know Aussie blogs I visit and follow. Thank goodness you can vote for more than one. Sorry to hear it was not your thing, you know me too well. If it's dystopian, for some reason I allow a lot more leeway than I would with other genres. I seem to end up loving them all. Best of luck with the AWC Contest! I've seen so many great blogs I like entered. I've read the Dante series by Victoria Scott and enjoyed it but I think Fire and Flood looks amazing. Hope you enjoy it, Kelly! Thanks Kate. And just a plug for Kate's blog and her The Fault in our Stars necklace creation. Check it out HERE it's adorable! If you haven't heard much about it Em, you're sure to soon enough as a few of us were lucky enough to receive a copy this week. I know, at last we're all in the one spot. I try to follow as many Aussie blogs as I can find, but we're hard to spot unless we have an About Me page that says so. I've been able to visit so many new blogs now, and loving it. I hope you win, Kelly! Lots of awesome-looking books this week. Fire and Blood is getting mixed reviews, though. I wonder if you'd like it. Thanks Dre. It's an awesome week for dystopian, and you know how I luuuurve my dystopian. I've seen the reviews too, I wonder if it's because they're comparing it to her Dante Walker series, expecting something similar. Hi Chyna and happy birthday! I actually didn't notice the difference in the covers until you mentioned it. Aussie's tend to have slightly different covers than the US with quite a few series, and I think the UK have different covers yet again. They're pretty similar though. Me too, but I think I'm pretty biased when it comes to dystopian. I seem to love them all. Happy reading and thanks for stopping by. Great haul! Fire & Flood was an interesting read!